Home > Awareness raising > Yorkshire Marathon added! We're delighted to announce that we now have 2 places in the Yorkshire Marathon as well as the 20 places in both the York 10K and the Sheffield 10K this year, so register now to reserve your place! 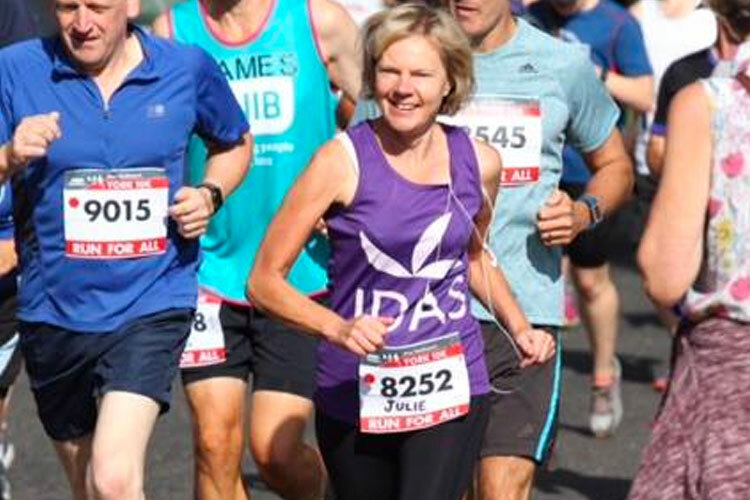 Last year our brilliant runners raised over £10,000 for IDAS and helped to raise awareness for our services by running in one of eye-catching running vests. All we ask of our runners is that they commit to raising a minimum of £200 for us. We rely on fundraising to support our vital work across Yorkshire and you really can make a difference by raising as much as you can.